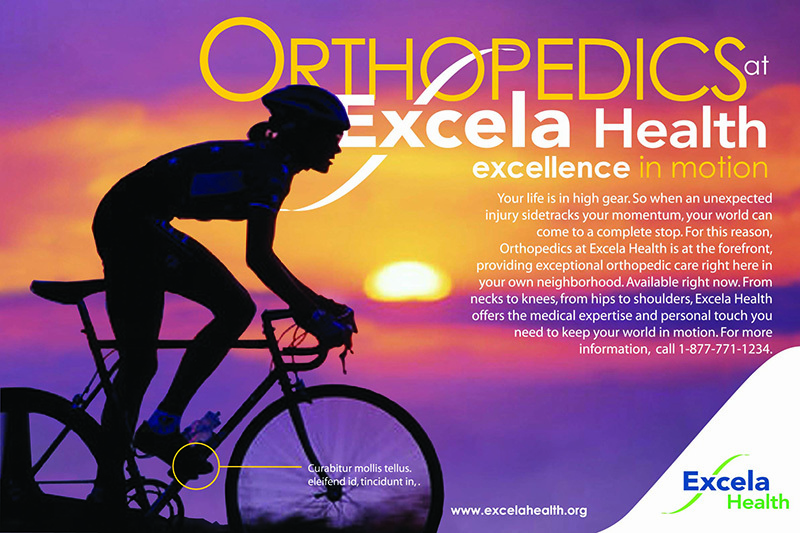 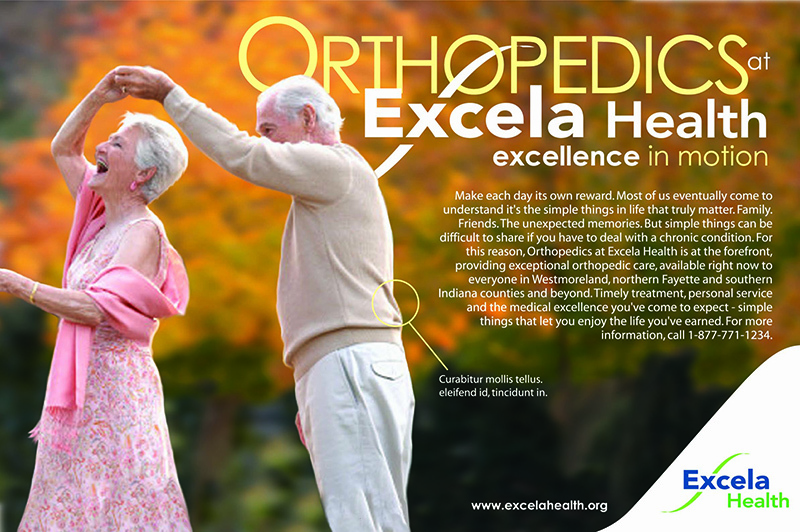 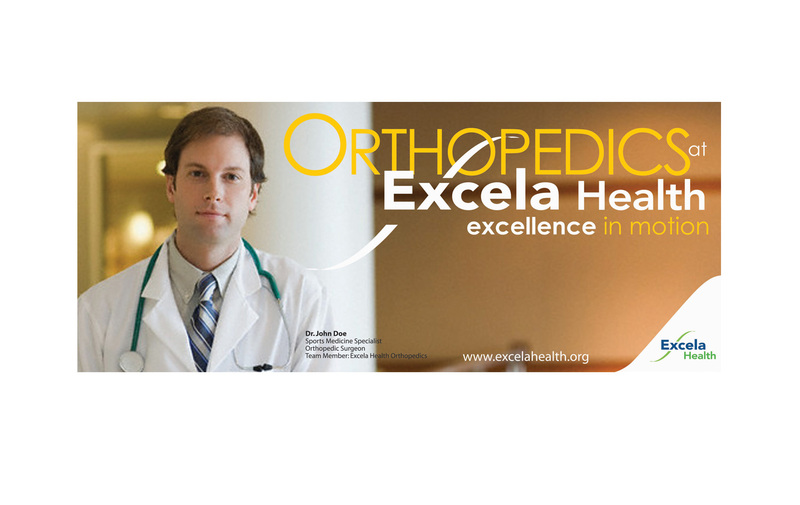 Excela Health is a four-hospital healthcare system in southwestern Pennsylvania. 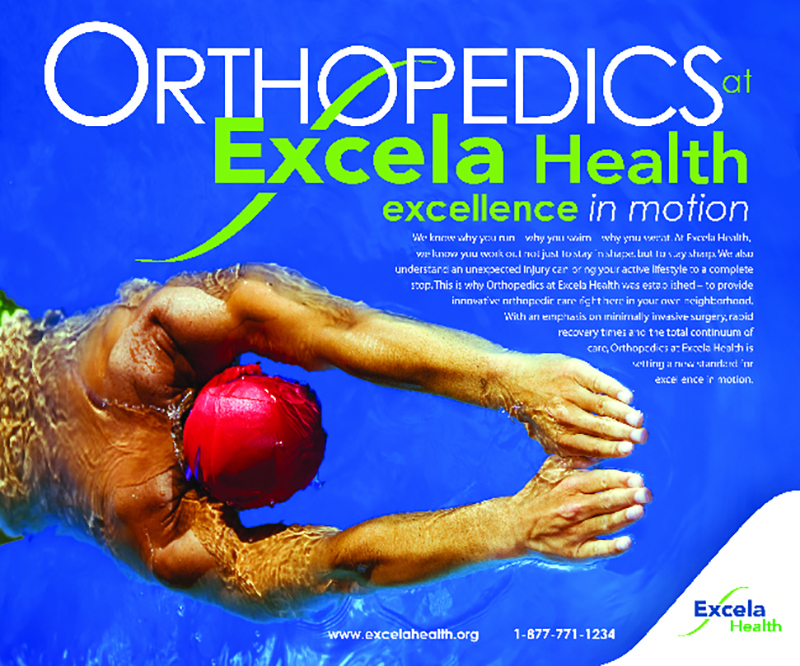 Seeking to promote its orthopedics and sports medicine business, we developed an integrated campaign under the theme line, Excellence in Motion. 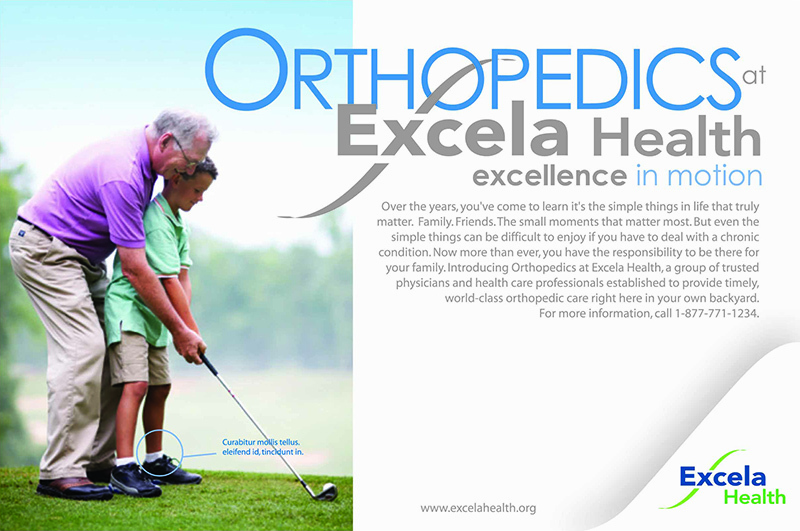 The campaign included print ads, billboards, collateral, digital, radio and broadcast TV. 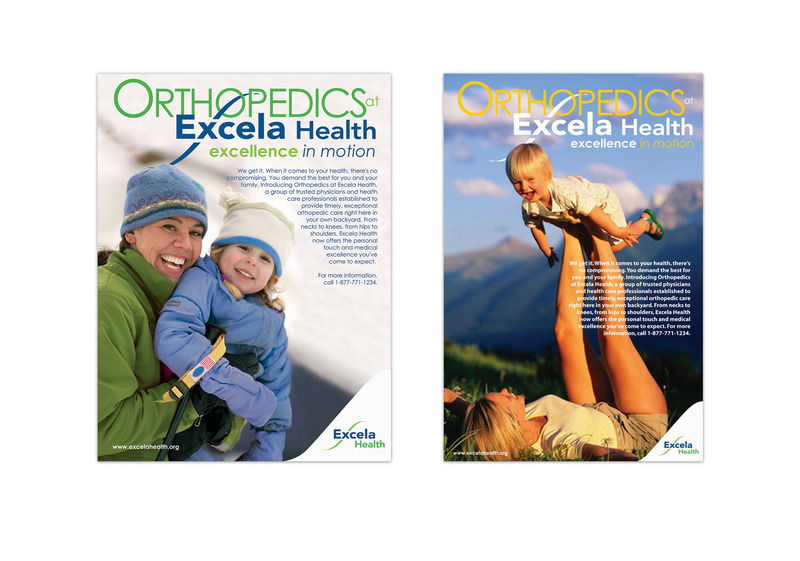 It also included the special care we bring to every client.